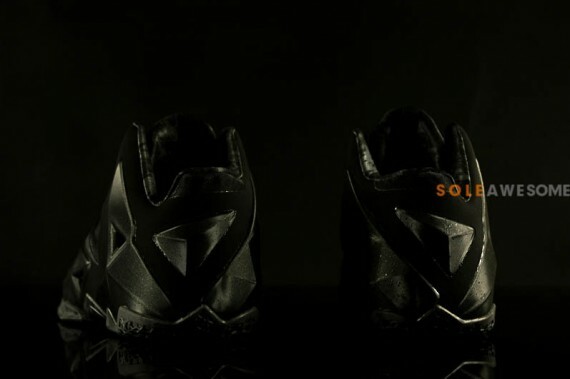 Nike Basketball finally introduces the LeBron XI in a traditional 'Blackout' colorway. 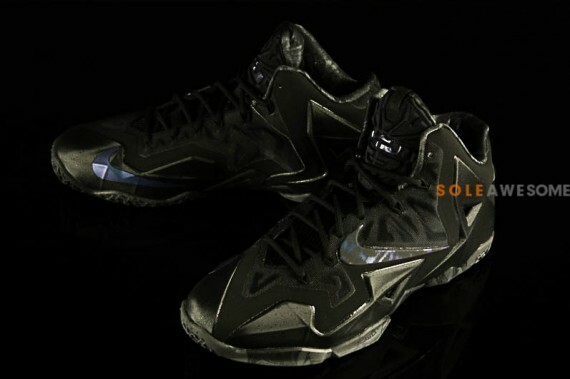 Likely one of the final LeBron XI colorways to release before the elite edition arrives, this pair works with the usual Hyperfuse build and Armorposite overlays. 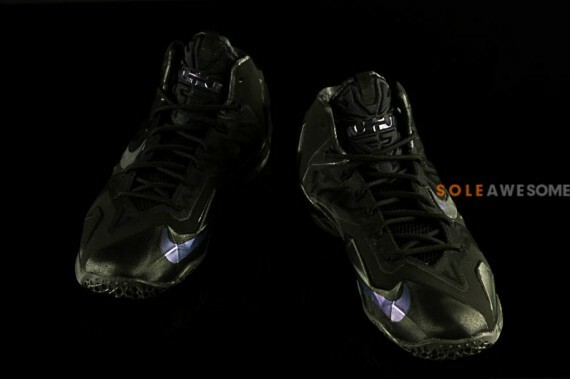 Black covers the entire shoe, while a subtle graphic accents over both Swoosh logos seen on the toe and midfoot. 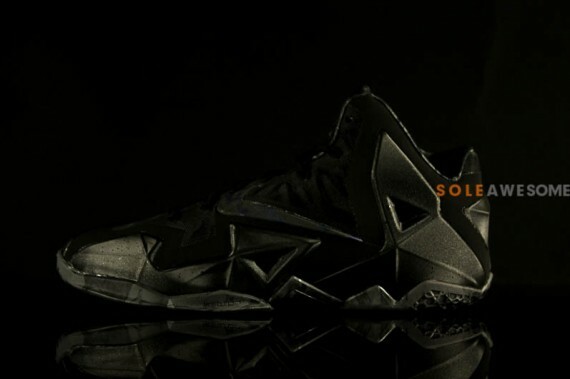 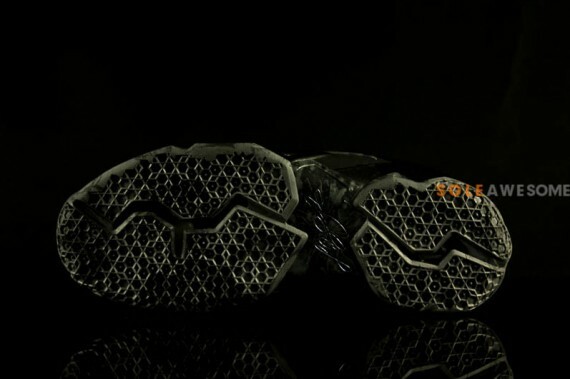 Stay tuned to Sole Collector for further details on the 'Blackout' Nike LeBron XI.